The weekend before payday I get a strange urge to spend my money before I get it. This weekend was one of those weekends. I kept an eye out for this Revlon offering while I was in boots, having seen it in pink on Essiebutton's blog. I got a bit too excited when I saw the coral colour - it actually appears a little more orange in person. This picture came out very bright because I took it early this morning, but it does a good job of giving you an idea of the light shimmer in the product. 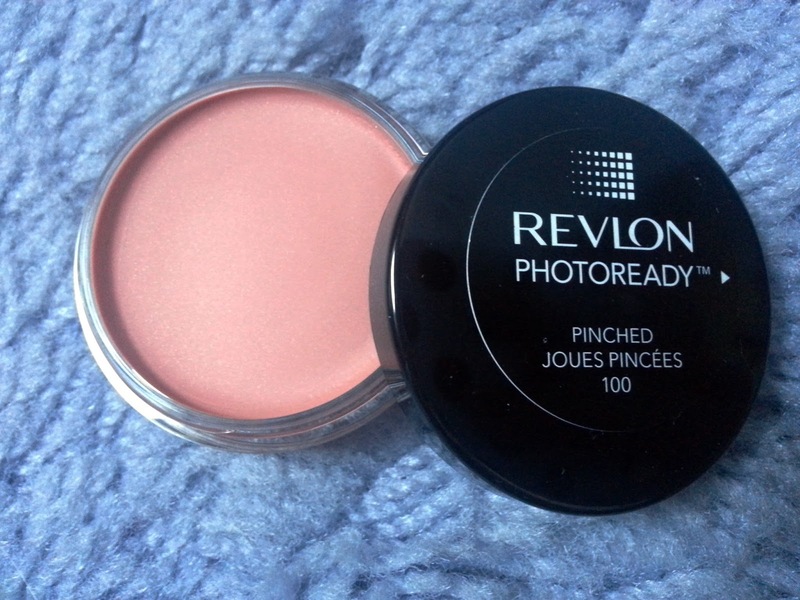 The colour is "buildable" (read: somewhat sheer) which is perfect for me as a cream-blush-newbie. It blends well without moving the rest of my makeup around. It's just right for giving a bit of life to the face. The light shimmer makes it a great morning-rush product so I've got colour and glow in one. The pink version, Flushed, looks absolutely stunning on Estée in this post, but I fear the pink wouldn't work on my already very-pink skin, my cheeks look a bit like that already. But I'm really embracing coral blushes, as I think we've all been stuck in the same pink shades for too long. How do you feel about cream blushes? Have you given any of these a try?